The Jet Propulsion Laboratory (JPL) is home to some of history’s most jaw-dropping feats of engineering. When NASA needed to land Curiosity—a 2,000-pound, $2.5 billion rover—on the surface of Mars, 140 million miles away, they turned to JPL. Steltzner’s team couldn’t test their kooky solution, the Sky Crane. They were on an unmissable deadline, and the world would be watching when they succeeded—or failed. At the helm of this effort was an unlikely rocket scientist and accidental leader, Adam Steltzner. After barely graduating from high school, he followed his curiosity to the local community college to find out why the stars moved. Soon he discovered an astonishing gift for math and physics. After getting his Ph.D. he ensconced himself within JPL, NASA’s decidedly unbureaucratic cousin, where success in a mission is the only metric that matters. ADAM STELTZNER is an engineer at the Jet Propulsion Laboratory. He worked on several flight missions, including Galileo, Cassini, and Mars Pathfinder, and the Mars Exploration Rover project. He was the phase lead and development manager for the Mars Science Laboratory and the Curiosity rover’s Entry, Descent, and Landing phase; he also helped design, build, and test the Sky Crane landing system. He lives in Pasadena, California. 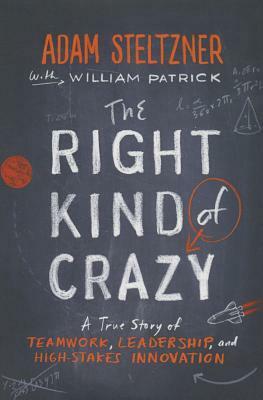 "Steltzner's enthusiastic, passionately written memoir is an insider's guide to engineering wizardry and a testament to the effectiveness of team-minded engagement, rational problem-solving, and the concept of 'making ideas reality.' A motivational journey for armchair astronauts and readers fascinated by the unlimited wingspan of human potential."